Vonzell Solomon was the second runner-up of the hit Fox series American Idol in its fourth season. She is a singer, songwriter, producer, actress, and model. Since American Idol, Solomon has toured with broadway, and as a national spokesperson for the United States Post Office. 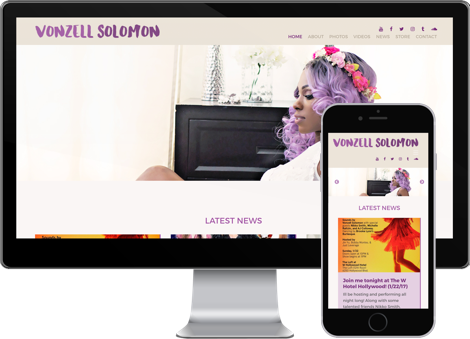 I was hired to design and develop her website as her current situation was not allowing her the flexibility she needed. We changed her HTML website into a WordPress update and she can now update her website on the go using the WordPress app!